ARROW star David Ramsey makes his series directorial debut with the Monday, January 28 hour of the series. 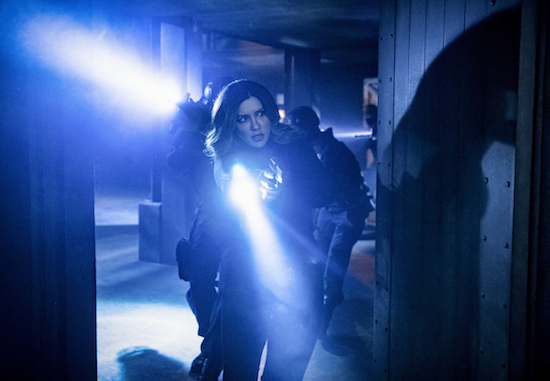 Arrow -- "Past Sins" -- Image Number: AR711a_0011b -- Pictured: Juliana Harkavy as Dinah Drake/Black Canary -- Photo: Jack Rowand/The CW -- ÃÂ© 2019 The CW Network, LLC. All Rights Reserved. ARROW: Check Out Diggle’s Costume! Comments Off on ARROW: Check Out Diggle’s Costume! Diggle is getting a costume in ARROW’s fourth season. ARROW is bringing viewers a bit of a different episode with tonight’s (awesome) new hour: Diggle takes center stage as he has to team up with the Suicide Squad. When ARROW picks up for its second season, several months will have passed since Tommy died and the Glades were destroyed…which means things will be a bit different for the characters we know and love. ARROW fans will get to learn a bit more about Diggle in tonight’s brand new episode, “Trust But Verify,” when Dig’s old military buddy, Ted Gaynor (played by FARSCAPE’s Ben Browder), pops back into his life. Causing complications? Gaynor is on Arrow’s list of people to take down. As if Oliver Queen hasn’t had enough problems in his life recently, in tonight’s episode, he is dealt another blow: an arrest for murder. For Oliver’s bodyguard/companion, Diggle, he’s left scrambling after his boss gets in trouble. But his concern isn’t exactly shared by Oliver.